NYC Brooklyn Bowl presale starts Weds at 10am. 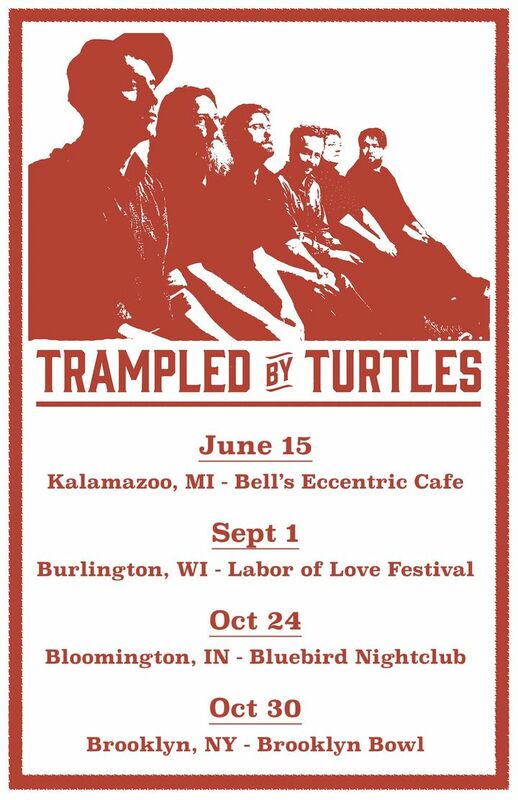 Bloomington, IN Bluebird presale starts Thurs at 10am. The first time I saw this venue on Bluegrass Underground on PBS I knew I had to do a gig there. TBT made the night magical! Never seen them before and loved them, loads of energy and nice harmonies. The only downside was the bar closed just after 9 !!!! Excellent show! Trampled by Turtles was just awesome and The Infamous Stringdusters killed it in the opening set. Thanks for a great event!